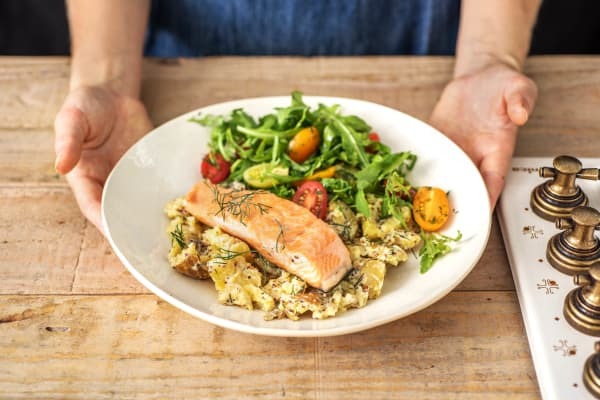 Did you know that oily fish is absolutely perfect for boosting your brain and memory power? Luckily for you, salmon is an oily fish! 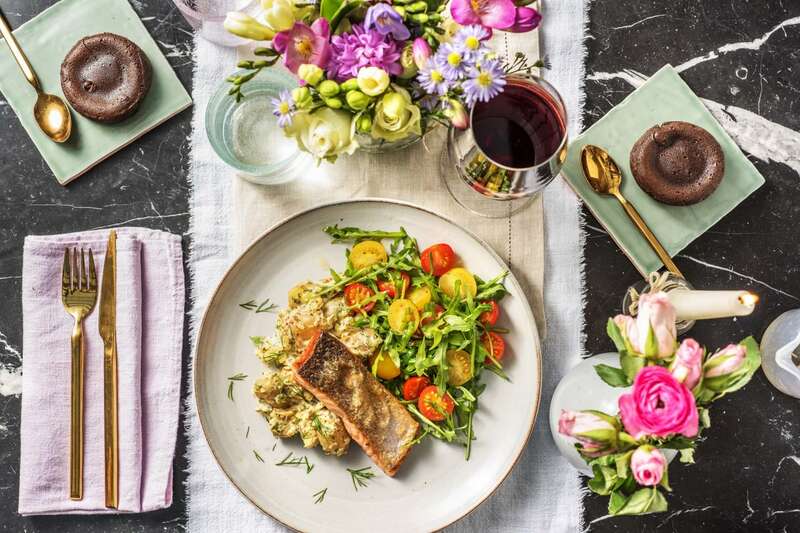 After you’ve pan-fried this salmon and served it with our sweet tomatoes and crushed potatoes, your brain will be very happy with you. Enjoy your dinner! 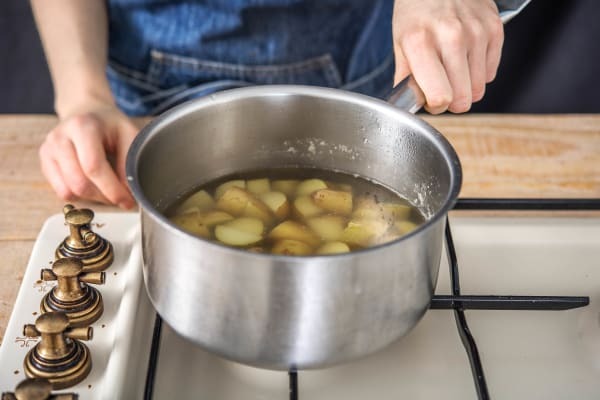 Put a large saucepan of water with a pinch of salt on to boil for the potatoes. Chop the new potatoes into 2cm chunks and add to the pan of water. Boil until cooked, 10-12 mins. TIP: The potato is cooked when you can easily slip a knife through. Drain in a colander and allow to sit for a few minutes before returning to the pan, off the heat. 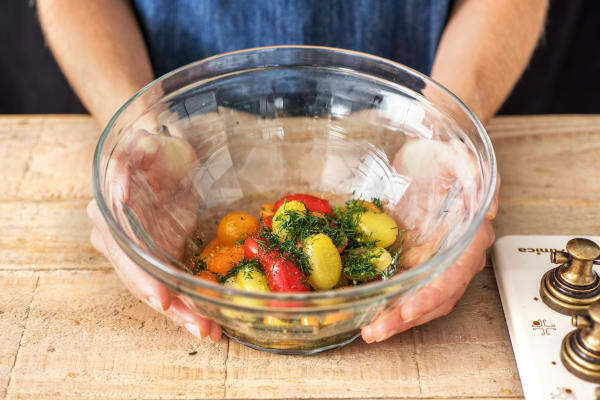 Halve the tomatoes (quarter any particularly large ones) and pop in a mixing bowl. Finely chop the dill (stalks and all), reserving a few fronds for decorating. Stir the white wine vinegar, olive oil (see ingredients for amount) and a pinch of sugar (if you have any) into the tomatoes. Season well with salt and pepper and set aside. Meanwhile, heat a frying pan on high heat with a drizzle of oil. Season the salmon on both sides with a pinch of salt and pepper. 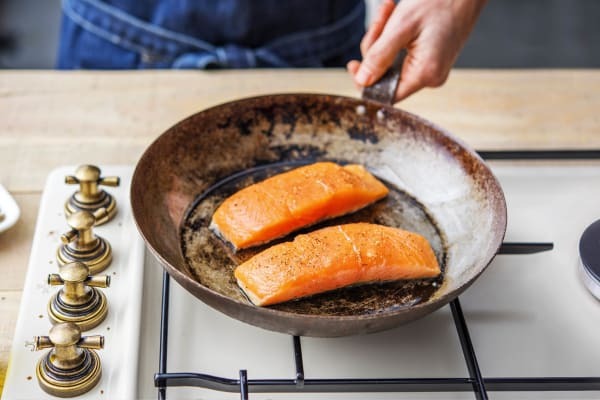 Lay the salmon in the pan, skin- side down, lower the heat to medium and fry until the skin is crisp, 6-8 mins. Turn and cook on the other side for a minute or so. IMPORTANT: The salmon is cooked when opaque in the centre. As the salmon cooks, stir the cider and horseradish mustard, crème fraîche and chopped dill through the warm potatoes, gently crushing them with a fork as you do (this isn't a mash; it's a refined crush!). Season well with salt and pepper. Just before you are ready to serve, toss the rocket through the tomato salad. Serve the warm crushed potaoes on plates topped with a salmon fillet. 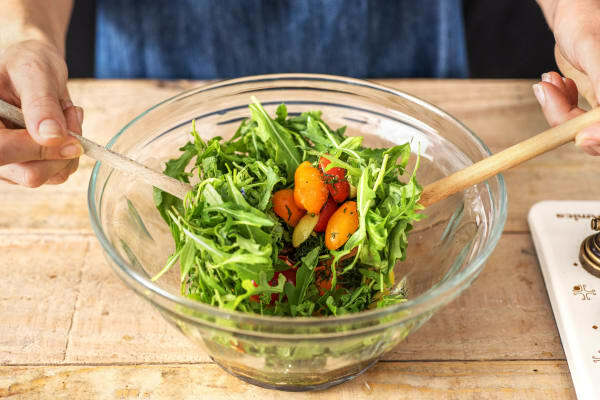 Artfully arrange the rocket and tomato salad around the plate and finish with a few fronds of reserved dill. Enjoy!